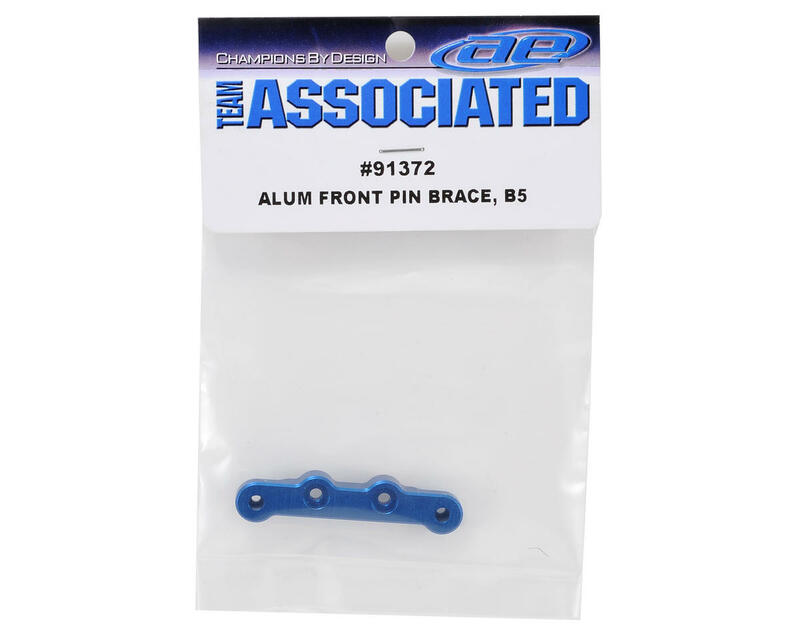 This is an optional Team Associated Factory Team Aluminum Front Pin Brace. 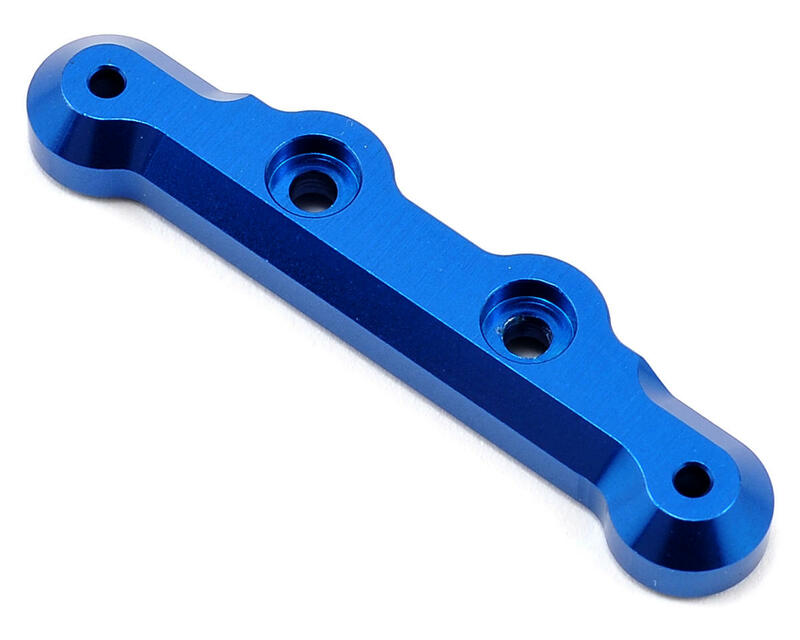 This brace is made from aluminum alloy material and anodized Factory Team blue. This brace will provide increased strength over the stock plastic brace. Its anodized blue aluminum its awesome. Obviously nicer than the plastic one and if you like blue its a very obvious aesthetic upgrade and noticeable.